Gorgeous 4 bdr 3 bath w lake views in priv, quiet established subdivision. Relax in front of the custom stone wd burning fireplace overlooking LAKE on lg screened in porch or enjoy the outdoor kit & gril. Lg living rm opens to din rm & dble entry screened in porch. Renovated kitchen w granite, stainless & plenty of custom cabinets & opens to fm rm, bkfst rm w access to deck & screened in porch. 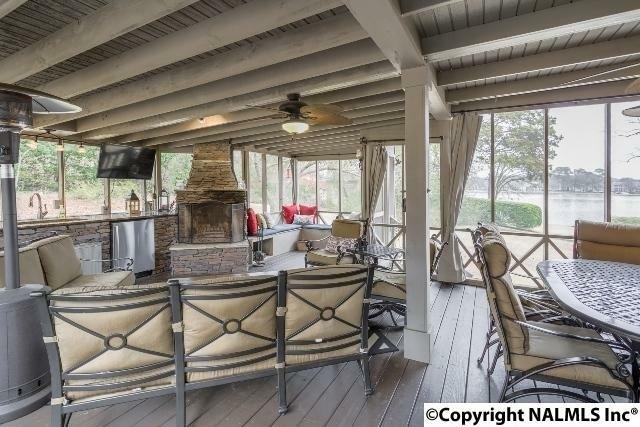 HUGE owners suite w sitting area & fireplace w walk in closet, lg glam bath & deck overlooking lake. Study on main level can serve as bedrm w full bath.